The Kingdom of God has no walls, no borders, no locked doors. Men, women, and children of all ethnicities, backgrounds, and theological belief are united under a common mission and a common King, in Jesus. And it’s as this flawed—often broken and dysfunctional—but redeemed family that we join together and pray, as Jesus taught, that God’s will would be done on Earth as it is in Heaven. 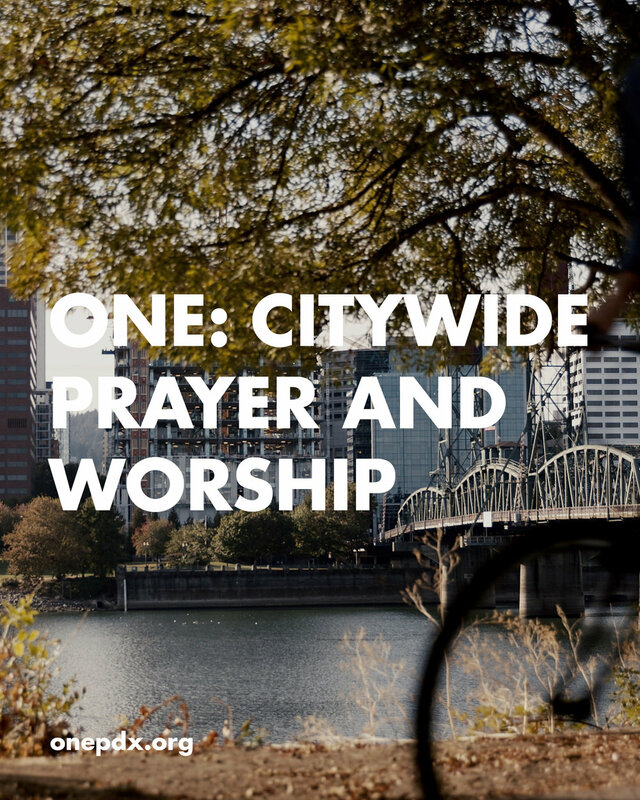 The focus of One is to worship together and pray for a move of God in our city. Here are some resources to help better understand the nature of prayer. The starting point for all significant works of God is prayer. It is here that we have an opportunity to interact with the Creator God and participate in his work of bringing redemption to our city. What if God really listens to our prayers? 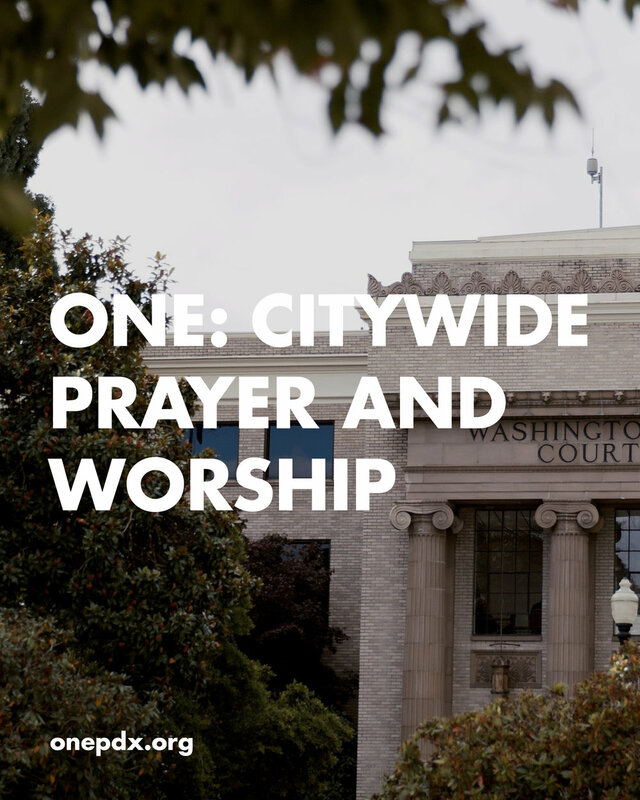 As advocates we stand before God on behalf of our city and plead for his intervention, for his power, for his great love to be poured out on the brokenness all around us. We begin in a humble posture of listening. What is God already saying to us? Where is he already at work? For all your other promotional needs, there are more print and digital resources available. Look forward to new promotional materials coming every year.